The team that started a movement! Thomas and I had a wonderful partnership that began in 1997 and lead to many advances in the craft of coaching until he died in February 2003. Thomas was a man of brilliant ideas. He loved the craft of coaching and the people in the field as well. He generated ideas by talking to people, and being a great coach he had a powerful intention to deeply understand their situation, pursuit or challenge. When he noticed that many people had the same situation/pursuit/challenge he would really take on the mission to put together the best tools and concepts to help. He did this by talking to even more people and synthesizing everything he learned with his own original interpretations. It was really fun to be a part of. We were always up to something big and potentially life changing with many people in both the field of coaching field and personal development field as well. My role emerged over time. At first I was a combination muse/teacher. My coaching business was emerging when we met so I was one of the people he was trying to help. I also had a knack for really understanding his way of thinking and teaching his concepts from the perspective of a practicing coach. I was coaching 40-80 people per week so I was really “in the field” applying his ideas as a coach every day. Thomas would put the program together and teach the pilot version; then it was my role to teach the program to the rest of the coaching world. We were a great team. I loved co-creating and teaching his programs. He loved that he could create something awesome and then “leave it” for me to teach it knowing that “his baby” was in good hands; so he could put his endless curiosity on his next idea. This partnership started with the 28 Principles of Attraction Program and continued with many classics including: The Teleclass Leader Training, Personal Evolution, A Perfect Life, CoachVille Membership, the CoachVille Coaching System, the Full Practice Marketing program and the Graduate School of Coaching “micromodules”. 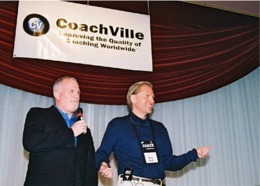 Our on-stage partnership began at the first ever CoachVille Conference in Las Vegas in 2002. We were collaborating on the phone like mad in the weeks leading up to the event. The format was mostly one big room with a few break outs. 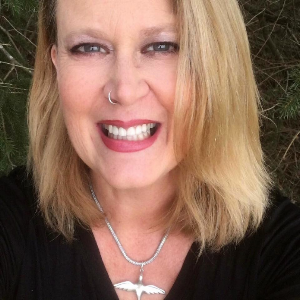 I was scheduled to do a one-hour presentation on my Personal Branding program which I was really excited to do for such a large group – over 900 registered. I arrived a day early to help out with putting things together. When I went up to his Suite to say hello I got the shocking news: He decided that he didn’t want to be on the stage alone and so I was going to be the “on-stage side-kick” for the entire event! Yikes. I was not expecting that. But I had come to expect the unexpected with Thomas so I just rolled with it hoping that my hard-earned stage presence would carry me though. It turned out we had great chemistry on the stage together and the event was a massive success. This turned into a tour where we lead many events together over the next year. A time period that is one of the highlights of my life for sure. Our last endeavor together was the Full Practice Marketing program and in this program I was a full-fledged creative partner and event co-leader. It was such fun. We lead an event together in Atlanta and it was supposed to be our last one together as I was going to teach it solo going forward so that he could move onto his next idea ironically called “The Absence of You”. Two days later he died of a sudden Heart Attack. It has been an honor to continue the process of bringing his great ideas – many of which were unfinished – into the world in a big way. And continuing to add my own innovative “Let’s make this really clear for coaches to use with their clients” take on things. Thomas was always talking about playing a bigger game: The Play Two Win Method is our program to teach coaches how to do this with players. Thomas was always talking about becoming “super conductive”; meaning your energy flowed freely toward your objectives with out resistance: The Inner Freedom Method is a our program to teach coaches a reliable method to do this with players. Thomas was ALWAYS talking about designing supportive environments – he truly based his life on this principle: The World Power Method is a step-by-step method to teach coaches how to do this with players. Naturally, the 15 Coaching Proficiencies are Thomas’ Ultimate work on the craft of coaching and they are integral to our curriculum. We call them “Power Patterns” now to highlight the importance of the language. And the 75 elements of our Advanced Communication Skills for Coaches program are based on Thomas’ CoachVille Coaching System. Thomas had a big dream that everyone could be a coach for the people in their lives. In this game, we are only just beginning. Reasons to Join CoachVille Today!